It’s August and one of the most highly-anticipated astronomical events of the 21st century is nearly upon us: the August 21 solar eclipse, which will be visible as a total eclipse literally across the entire United States…but that doesn’t mean everywhere in the United States. Totality will pass across the U.S. in a narrow band about 60 miles wide starting along the northern coast of Oregon at 10:18 a.m. local time (PDT) and ending along the coast of South Carolina at 2:48 p.m. EDT. But that’s just totality—the full eclipse event will actually begin much earlier than that and end later, and its visibility won’t be limited to only that path. And while it’ll be happening overhead in the daytime sky you’ll need the right equipment to view it safely, whether you’re in totality or not. In a nutshell, on August 21, 2017, the Moon will pass in front of the Sun during its orbit around Earth. The angles will line up just right so that the Moon’s shadow lands on the Earth, and this time the continental United States just happens to be right in the path of where the deepest part of that shadow—the umbra—will fall. Find out what time the eclipse will be visible from YOUR location here. Weather permitting (yes your eclipse could very well be ruined by clouds—hopefully not) the first thing you’ll notice is a small “bite” being taken out of the Sun. This is the Moon moving into position (yes, you are watching the Moon moving!) Because the Sun is so bright compared to the Moon—and that it’s technically a new Moon phase anyway, which means the Moon’s unlit night side (but not the far side) is fully facing Earth—you can’t see the Moon itself before the eclipse starts or even during the partial phases. At this point you’re inside the Moon’s penumbra, or the outer part of its shadow. It’s still bright as day, but the Sun is gradually being covered. NOTE: It is not safe to watch this part of the eclipse without proper eyewear or some sort of projection viewing device. The Sun is still very much bright enough to permanently damage your eyes. Regular sunglasses—even polarized or multiple layered ones—are not sufficient. Isn’t it dangerous to look at an eclipse? I’ll be watching the 2017 eclipse safely with a pair of Planetary Society Bill Nye glasses from EclipseGlasses.com! Bottom line: it’s always dangerous to gaze at the Sun without protection. During an eclipse is no different as far as what the Sun is doing is concerned (it’s still happily fusing hydrogen into helium, 93 million miles away) but people tend to think that because it’s getting darker, then it’s OK to look at the Sun longer and see what’s happening. This is wrong. Even with nearly all of the Sun blocked by the Moon there’s still enough UV radiation coming in to damage the sensitive tissues of your eyes—and, because it’s darker, your pupils will actively open up to let more of it in. You can’t see or feel UV so you don’t sense it and instinctively shut your eyes like you do with visible light from an unblocked Sun…UV radiation can just pour in and painlessly roast your retinas. So during an eclipse your eye safety is completely your responsibility—be smart and get a pair of ISO-certified safety glasses so you can watch without worry. Read this for a more thorough explanation of how unfiltered sunlight damages your eyes. Also, be cautious of “knockoff” eclipse glasses that don’t actually provide adequate protection. If you can see anything other than the Sun through the lenses, they’re not dark enough! Get your ISO-certified safe eclipse viewing glasses here. Also, never ever ever look at the Sun through conventional binoculars or a telescope without having protection on the primary lens first (i.e., don’t put the glasses on and then look through.) This can completely and permanently ruin your eyes, which isn’t worth any type of view. During totality you CAN view the eclipse safely with the naked eye—in fact, you should! You won’t be able to see anything at all through safety glasses during totality anyway. But as soon as the Sun begins to reappear, you should put your glasses back on. I won’t be in or near the “path of totality.” Will I see anything? If you’re at all able to get into the totality area, I suggest giving it a shot. If it’s truly not possible (and many places are already booked up) then don’t worry—you will still see a partial eclipse! In fact ALL of the United States will see the eclipse, in some form if not in totality, as well as will Canada, Mexico, Central and parts of South America, and even parts of Europe and the UK. Partial eclipses are still very cool! Can’t see the eclipse where you are? Watch live streaming video during the event here. Is this a “once-in-a-lifetime” event? Not at all—based on the average human lifespan, that is. 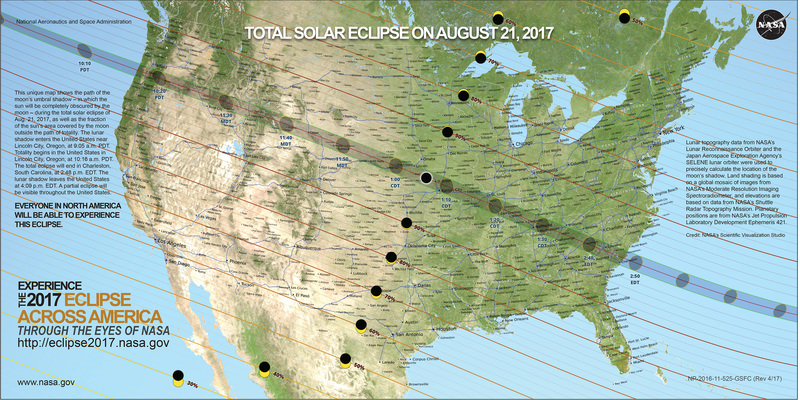 While the last total solar eclipse visible in America was in 1979, and the last time one crossed the entire country was in 1919 (which had some major implications for physics in general) the next total solar eclipse for our country will happen on April 8, 2024…less than seven years from now. And then another one in 2045, and then four more after that. If the Moon is orbiting the Earth, why don’t we have total eclipses all the time? This makes total sense and would be the case if the Earth, Moon, and Sun were all positioned along the same exact plane. 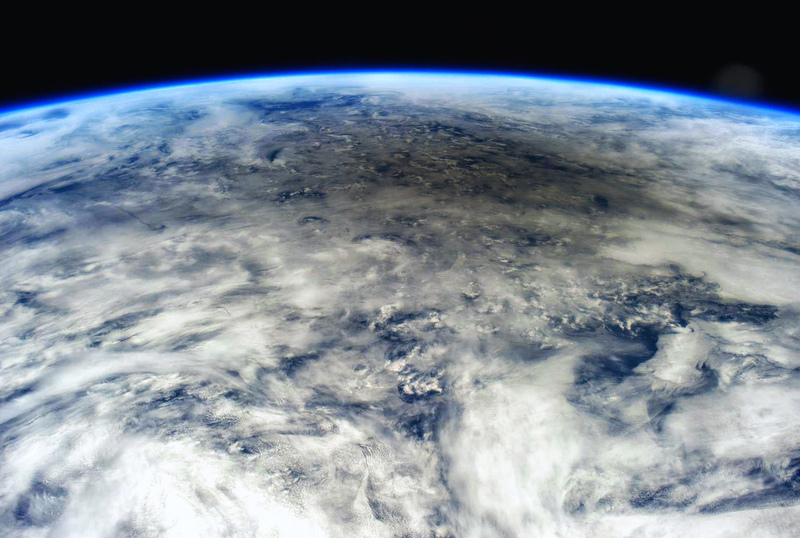 But the Moon orbits at a bit of an angle to Earth—about five degrees—and that plane wobbles as well compared to our orientation around the Sun. So even though the Moon always casts a shadow when it’s between Earth and the Sun, that shadow doesn’t always fall onto Earth; five out of six times it misses. When it doesn’t, we get a solar eclipse somewhere on the planet. 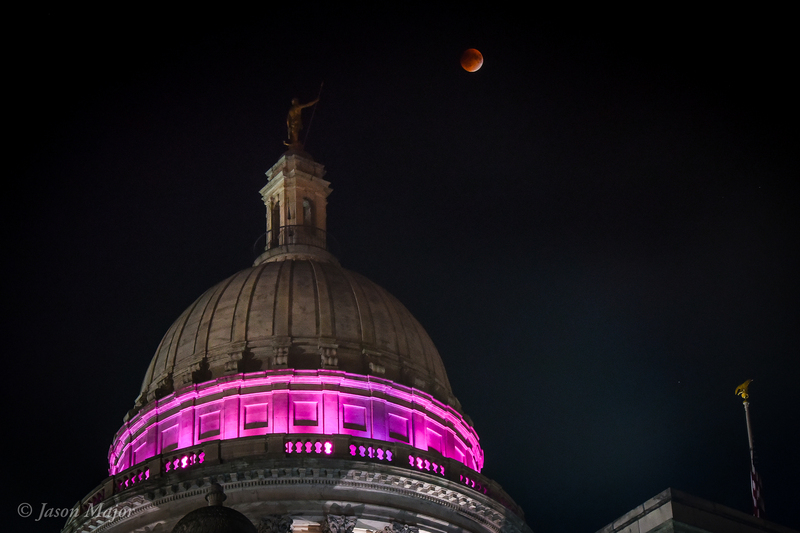 What’s the difference between a solar eclipse and a lunar eclipse? A solar eclipse is when the Moon’s shadow falls onto the Earth; a lunar eclipse is when the Earth’s shadow falls onto the Moon (more accurately, the Moon is passing through Earth’s shadow.) Solar eclipses only happen at new Moon phases, lunar eclipses only occur during full Moons. As Earth’s shadow is much larger than the Moon’s, lunar eclipses are more common but can also be of the partial and total varieties depending on how deeply into the Earth’s shadow the Moon happens to pass. They may lack the daytime drama of a total solar eclipse but they are beautiful to witness in their own right! The next total lunar eclipse will occur on January 31, 2018. Will the eclipse make anything bad happen? Planning on taking pictures? Share your photos of the eclipse in the NASA Flickr group! Here’s another great article on photographing the solar eclipse. 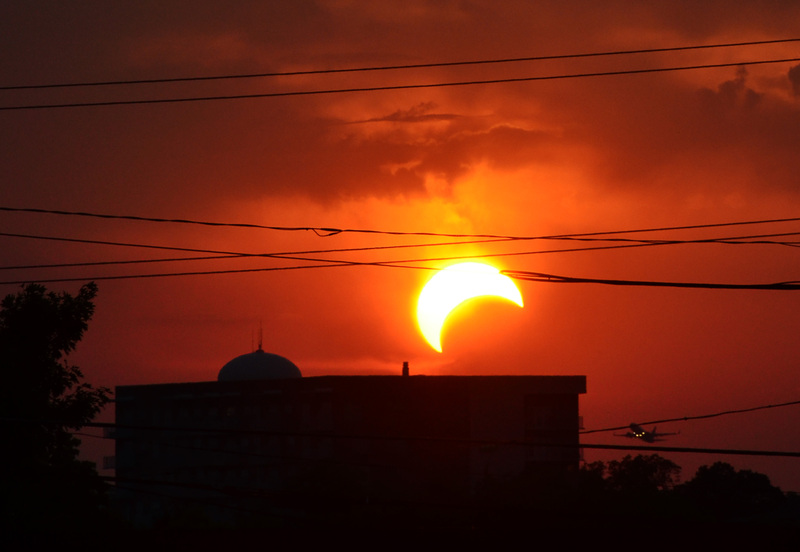 Want to learn more about the August 21 eclipse? Visit NationalEclipse.com, GreatAmericanEclipse.com and NASA’s eclipse activity site here. And if you’re planning on traveling to witness the event on August 21, have a safe and happy shadow hunt! 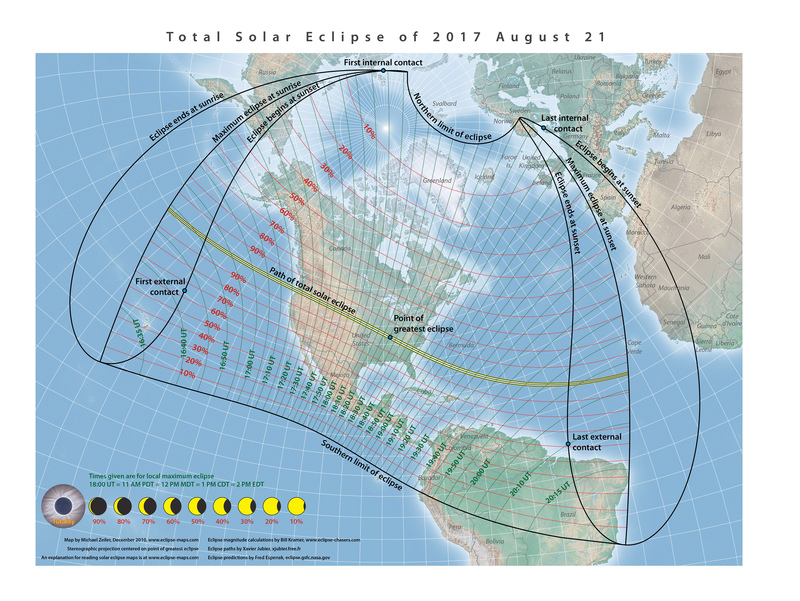 Pingback: Answers to 8 Questions About the August 2017 Solar Eclipse — Lights in the Dark | World4Justice : NOW! Lobby Forum. My house is in an area with 99.728% obscuration. Would it be worth it to try to drive nearby where it will be 100%? Traffic may be crazy. I do think it will be worth it, if you can make it. I’d suggest arriving sooner than the 21st though!